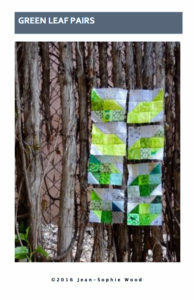 This year I have designed two very different sampler quilts using this year’s Block Lotto block patterns. 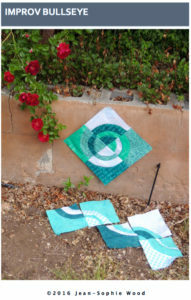 Each month I will tell you how many of the monthly block you need to make, some color cues to help you choose colors for those blocks and fill in the blocks on this grid. 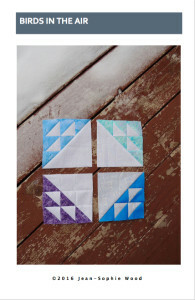 There are a total of 99 lotto blocks in this quilt. It measures 54 by 66 inches. 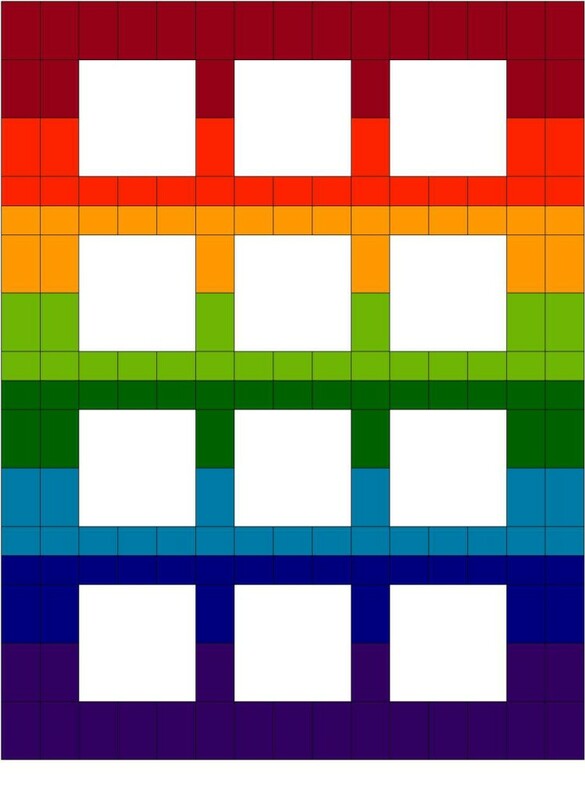 Feel free to use the color cues to choose colors other than those we are using for our lotto blocks and make it your own. 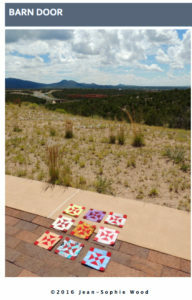 For example “summer sky” could convey a sunrise, sun set or even a summer’s night; “ground cover” might be dry desert or lush mid-western greens. 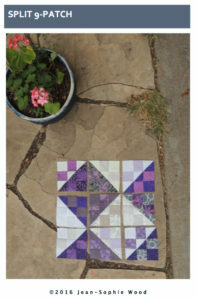 Because the Violet blocks are mixed in with February’s Snail’s Trail blocks in the layout, choose similar “ground cover” colors for the background fabric in the Violet blocks. For July’s Spiky Leaves, the blocks are stacked in pairs so you could choose to make 4 Spiky Leaves bases and add stalks with blooms to the top. August’s Mountains and October’s Sunflowers will look best with background similar to the “Summer sky” colors you used earlier this year. 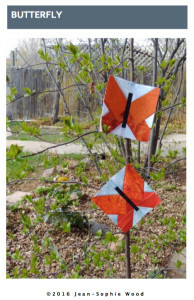 The Roosters and/or Chicks you add in November will blend if you use similar background as the Violets and Spikey leaves. 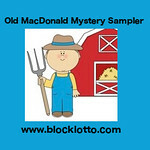 Since a number of you have said you’ll be making the Old MacDonald Mystery Sampler with me, I made a blog badge for us. 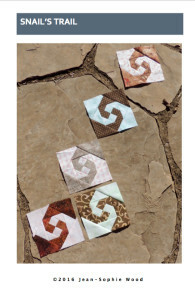 This sampler quilt is made from four each of the monthly lotto block patterns and a scrappy, graduated series of bands for the setting. 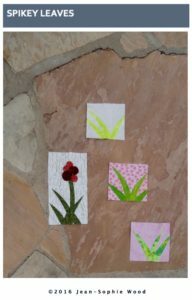 Each month, the four 6-inch blocks are sewn into a 4-patch which fits into one of the blank squares in the drawing. Each of the bands is made from 21 rectangles. 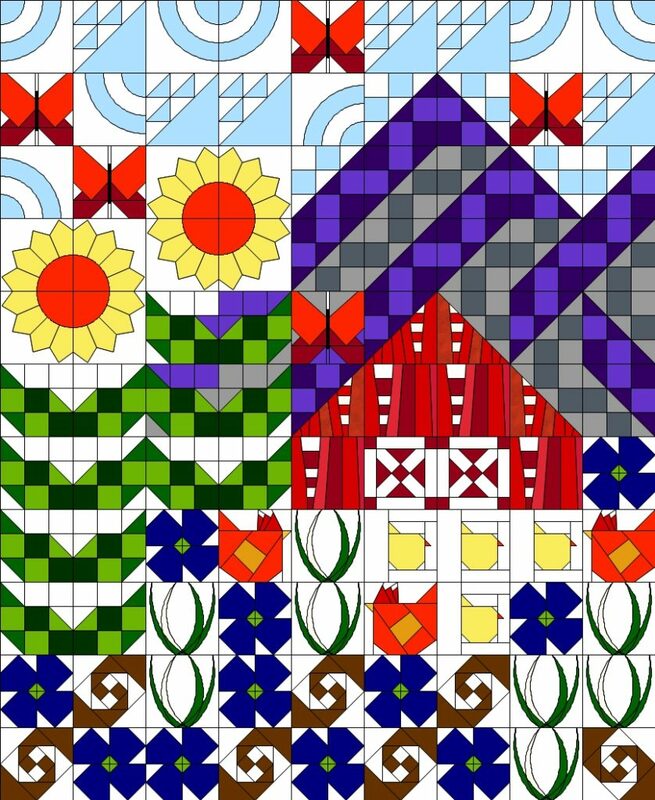 No one has yet said they are planning to make this quilt … but if they do, I will make a blog badge for anyone who wants one. 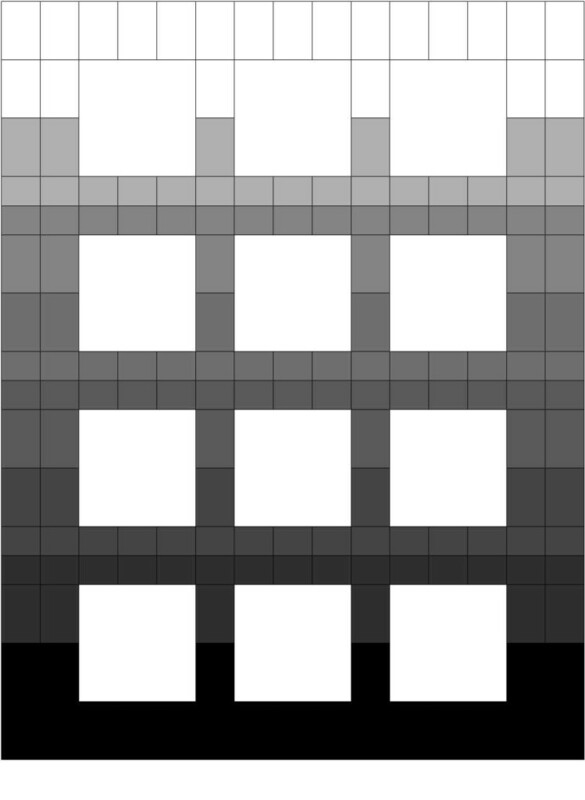 Remember, lotto block patterns are free for the first 10 days of the month they are released–use the discount code supplied in the first-of-the-month announcement post. 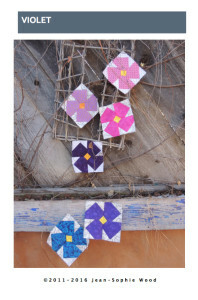 I will add the list of patterns here with links to Payhip, as they are announced. You can also find them on the block index page for 2016.